GUEST BLOG POST: Motherhood Later by Lori Lite, author, Stress Free Kids | MotherhoodLater.com - World’s leading website, eZine and community for midlife moms. I was once the youngest mom on my block at 26 years old and I joined the motherhood later crowd when I had my 3rd child at the age of 36. My body, mind, and spirit were very different ten years later. · Was it my age? · Was it that I was wiser? · Was it that my body was worn out from the last 2 pregnancies? · Was it chasing 2 other children around the playground with my growing belly? · Was it the organic food? · Was it all that breathing, visualizing, and affirming I was doing? I didn’t have that cute bubbly perky look I was once so proud of but I felt so much wiser and thrilled that this child’s journey would be so much better because I was an older mom. That being said, I was also haunted by words I had heard my mom utter. “It’s a job for the young.” What did she mean by that?! Now I don’t agree with that statement, but whenever I couldn’t bear to build another block skyscraper just to have them knocked down for the 100th time…. I would hear those words swirling around my head. At one point the thought of being my child’s playmate everyday drove me to sell my house and move to a neighborhood teeming with children. I knew that this time I needed help in the playing all day departments and the stress management arena. As a three timer, I was going to do everything “right” this time including using my newfound relaxation skills throughout my pregnancy. I was going to breathe, visualize, and affirm that I was going to have a four-hour labor. I was determined to be a more relaxed mom and give birth to a relaxed baby! Breathing and positive statements became my two “go-to” tools and with a little effort they can be yours too. You were born breathing so it is already available to you—it’s effortless and involuntary. If you watch a relaxed baby breathe, their little bellies rise up and down with each inhalation and exhalation. This is how you are designed to breathe and it’s also how you naturally took in air—that is, before you began to experience stress. Diaphragmatic—or belly—breathing is an easy, effective tool to teach your children. In fact, little ones embrace this method of breathing with less effort than adults. This valuable stress-reduction technique will help you and your children. If you are stressed-out and you are seeing that it’s affecting your children, the best thing you can do is acknowledge that you are stressed-out—be a good example! Tell your children, “I am feeling too stressed right now. I am just going to take a minute for myself to sit down and do my breathing.” Your child can sit next to you, or on your lap, or in your arms…. and do some deep breathing with you. It is such a gift to be able to identify your stress, acknowledge it, and then share with your children that you can manage it, you can take it down a notch, you can make yourself feel good again, you can control yourself. . . . Breathe in, 2, 3, 4, and out, 2, 3, 4. Breathe in, 2, 3, 4, and out, 2, 3, 4. Children see you changing your energy and they want to experience it along with you. Babies begin to recognize this relaxing breathing pattern and will usually calm down to your breathing. Like belly breathing, positive statements can dramatically minimize the negative effects of stress. Consider this: Self-talk can reduce anxiety or increase it in mere seconds. The talking committee in your head can beat you down with criticism or lift you up with praise. Children, tweens, teens, and adults are all experts at self-criticism. Ask anyone to make a list of their shortcomings versus their assets and you will get a much longer list of self-criticisms. We are so hard on ourselves. This causes stress and undermines our self-value. However, children are less embarrassed than adults to show themselves love through positive statements. You can likely close your eyes and hear an entire classroom of children shouting, “I LOVE myself!” But it’s much harder to picture a roomful of adults enthusiastically proclaiming the same thing. You may try to adopt a positive point of view, but a negative tone unconsciously tinges your affirmations. For example, instead of saying, “I will NOT yell today,” you can bump up the positivity factor by saying, “Today, I will respond with a calm voice.” Even reading those two statements should feel different to you. Try saying it quietly to yourself and out loud. Notice which way effects you at the deepest level. How enlightening it is to know which way works for you. It’s truly that easy. Both of these techniques help you to feel good and reduce stress on the spot. Immediate gratification. Children feel the effect right away; they recognize it feels good and want to do it again. Voila! Stress-free moments created. 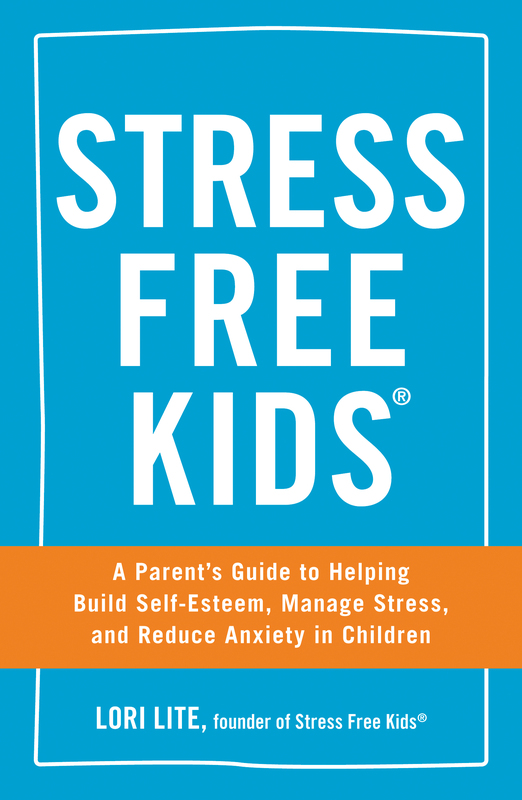 Lori Lite is the author of STRESS FREE KIDS:A Parent’s Guide to Helping Children Build Self-Esteem, Manage Stress, and Reduce Anxiety. 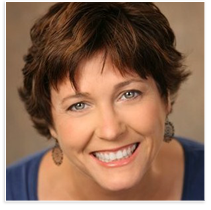 Her constant upbeat presence on Facebook andTwittermake her a real-time resource for anyone seeking practical advice for stress free living. 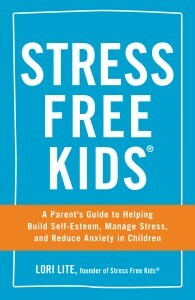 For more information visit http://Stress FreeKids.com . Thank you do much! Very to the point abd great tools we all nd to remain aware exist fur us to use. Thanks again!